↑ "Engagement between Crown Princess Victoria and Daniel Westling". 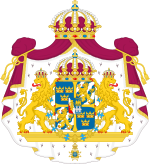 Swedish Royal Court. 2009-02-24. สืบค้นเมื่อ 2009-02-25.